For weddings, trade shows, office parties & more. For a happier, healthier work environment. 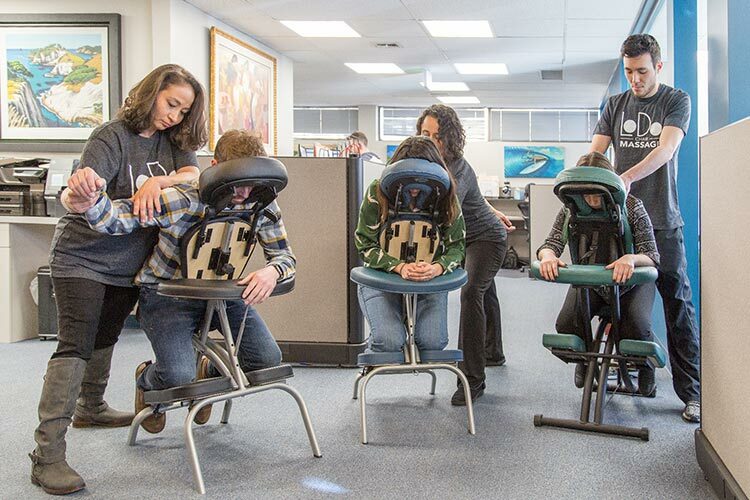 Onsite chair massage for your staff. Let us help you make any day- from a special event, to an average day at the office- the best it can be! 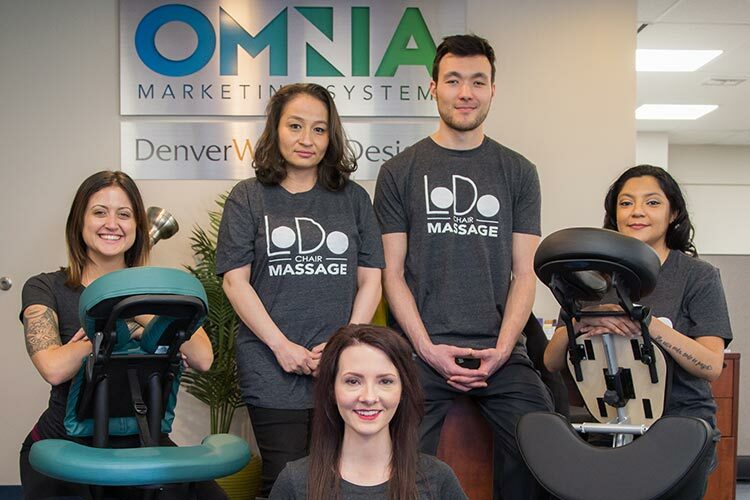 LoDo Chair Massage provides the RELIABLE, PERSONAL SERVICE you need to make your event, booth, or corporate wellness program truly special. On-Site Chair Massage is an extremely COST EFFECTIVE way to bring energy, positivity and well-being to any environment. LoDo Chair Massage makes the process incredibly SIMPLE - so you can focus on other things. Done! 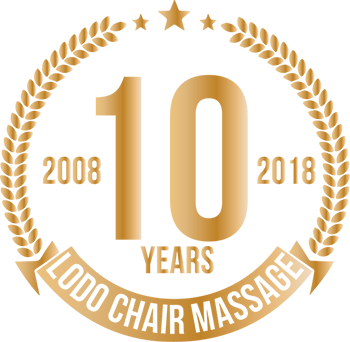 We take care of the rest! Our mission is to provide much needed relief from stress, pain and promote a healthy work environment. We strive to provide the most relaxing and effective experience, optimizing the benefits of Massage and Yoga in the workplace. Our vision is to inspire the development of corporate wellness programs and to promote the importance of employee health in the workplace by bringing Chair Massage and Yoga directly to any office. Tackle chronic conditions such as anxiety and insomnia. Prevent carpal tunnel, migraines and muscle pain. Personalized sessions cover various aspects of yoga, including proper breathing, relaxation, and physical movement. No account creation, no app download. Pick your massage time from your desktop, tablet or phone in seconds!